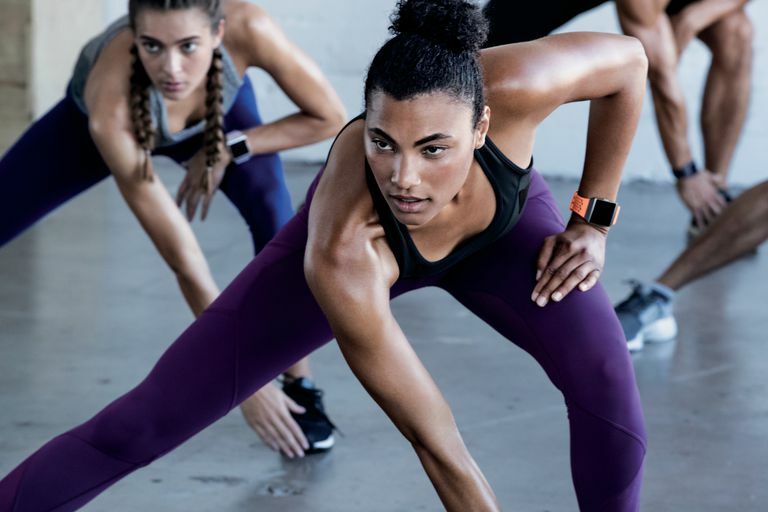 Fitbit fitness trackers are a popular way to count steps, record workouts, and analyze sleep patterns but there's a lot more to these devices and their apps than meets the eye. Here are seven surprising Fitbit features that the average user forgets to use or doesn't even know exists at all. Some common excuses a lot of people use when asked why they don't use a Fitbit tracker is that they're too expensive and that wearing something on their wrists can be irritating. Little do they know though that the official, free Fitbit app can track steps just as well as the Fitbit wearable trackers. No purchase or wristwear required. Using the Fitbit app is absolutely free and all a user has to do is keep their mobile phone on them at all times, which is something most of us already do anyway. The Fitbit app and smartphone combo admittedly lacks some of the more advanced features that the Fitbit devices possess such as heart rate monitoring. It's also probably not a good idea to take your phone with you next time you want to track your laps in the swimming pool. Official Fitbit apps are available for free on Android, iOS, and Windows 10 Mobile devices in addition to Windows 10 PCs and tablets. Fitbit Coach is a streaming video platform that provides users with an ever-growing library of workout videos designed for a variety of fitness levels and interests. What sets Fitbit Coach apart from similar exercise services is that it offers numerous short routines mixed and matched into playlists suited to your fitness and energy levels. Fitbit Coach uses the same account as the regular Fitbit apps and all data is synced between the two. Fitbit Coach is a great way to introduce a wider variety of exercise styles to Fitbit users who may be limiting themselves to walking or running. While Fitbit Coach does offer several workouts for free, a good chunk of the content is held behind a paywall. It's not expensive but this could still be a deterrent for some. Fitbit Coach apps are compatible with Windows 10 PCs and tablets, Windows 10 Mobile smartphones, Xbox One video game consoles, iPhones and iPads, and Android devices. If you have a Windows 10 device or a Windows Phone running Windows 10 Mobile, it's well-worth pinning the Fitbit app for Windows 10 to your Start Menu as it supports Windows 10's Live Tile functionality. This Live Tile will display live data from the Fitbit app without even opening it which makes it very useful. To pin the Fitbit app, simply find it in your installed app list from the Start Menu, right-click on it and select Pin to Start. You can then move the pinned app to wherever you like on your device's Start Menu and you can even resize it by right-clicking on the tile and choosing one of four Resize options. The Fitbit Windows 10 Live Tile conveniently displays your steps and challenge progress on your desktop or smartphone without even opening the app. It's a constant reminder to keep moving and stay on top of your fitness goals. Live Tile functionality is unavailable on iOS and Android devices. All Windows 10 PCs and tablets and Windows Phones running Windows 10 Mobile. Using the Fitbit app on a television is a very easy way to look at your fitness data on a larger screen. The app can also trigger Xbox notifications for when you've met your daily goal. The Xbox One Fitbit app can't actually sync to your Fitbit device so you'll still need to use a smartphone, tablet, or Windows 10 PC to do that. The Fitbit app is available on Microsoft's Xbox One, Xbox One S, and Xbox One X video game consoles. The official Fitbit app can actually be downloaded and opened on Microsoft's family of Xbox One video game consoles. To find the app, simply search for Fitbit in the Store section of the dashboard. The Fitbit Challenges feature takes the Fitbit experience to an entirely new level by gamifying your exercise and having you compete with your friends in daily or weekly leaderboards. Users can compete to take the most steps or reach their daily goal first and progress is tracked via a leaderboard that all participants can comment on for the duration of the challenge. Participating in a Fitbit Challenge really does make you want to exercise more due to its competitive nature. The start and end time of a Fitbit Challenge can be confusing when numerous participants are located in different time zones. Each Fitbit Challenge is set to the time zone of the creator of the Challenge which means that the end of their day may be someone else's 3pm. Fitbit Challenges can be tracked and initiated on all official Fitbit apps on all devices. Simply click on the Challenges tab after opening the app and scroll down to the bottom of the screen to start one with your friends. Fitbit Adventures are similar to Challenges but instead of using basic leaderboards, participants race around a 3D map of real-world locations such as New York City and Yosemite. 1,000 steps in real life with your Fitbit will move you 1,000 steps along the race course within the app. Having steps visualized on a map is a fantastic visualization tool and gives users a sense of both progress and an end goal. The trivia given on each location throughout the race is also a nice touch and the Solo Adventures are fun for those who don't feel like competing with others just yet. Fitbit Adventures is honestly very hard to explain to those who haven't tried it yet which is why a lot of Fitbit users tend to stick with the traditional Challenges that use easy-to-understand, basic leaderboards. Adventure Races and Solo Adventures are compatible with all Fitbit apps. Fitbit has always had social features such as its friends list and leaderboards but a newer feature that longtime users may be unfamiliar with is its social feed located under the Fitbit app's Community tab. In this social feed, users can post updates just like they would on Facebook and Twitter and even share Fitbit activity such as steps taken or badges that they've unlocked. Friends can comment on each other's posts and cheer them (similar to liking on Facebook) for quick interaction. Content shared on the feed is only visible to friends which is great for those who don't want their activity, or inactivity, made public. It's easy to forget that this social feature exists in the Fitbit app with it being placed in the Community tab and not on the main dashboard. The social feed is available in all versions of the Fitbit app.